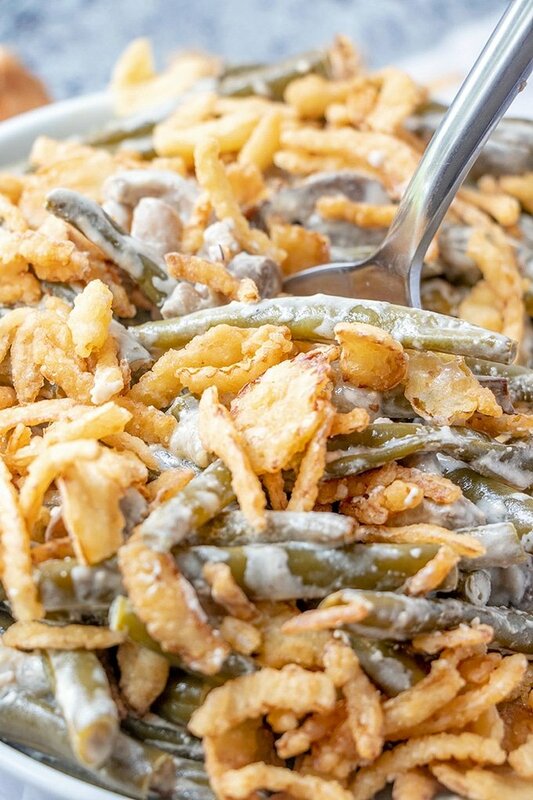 Slow Cooker Green Bean Casserole made easy in the crockpot. With tender green beans, mushrooms, creamy sauce, and french-fried onion topping, it’s the ultimate Thanksgiving side dish. 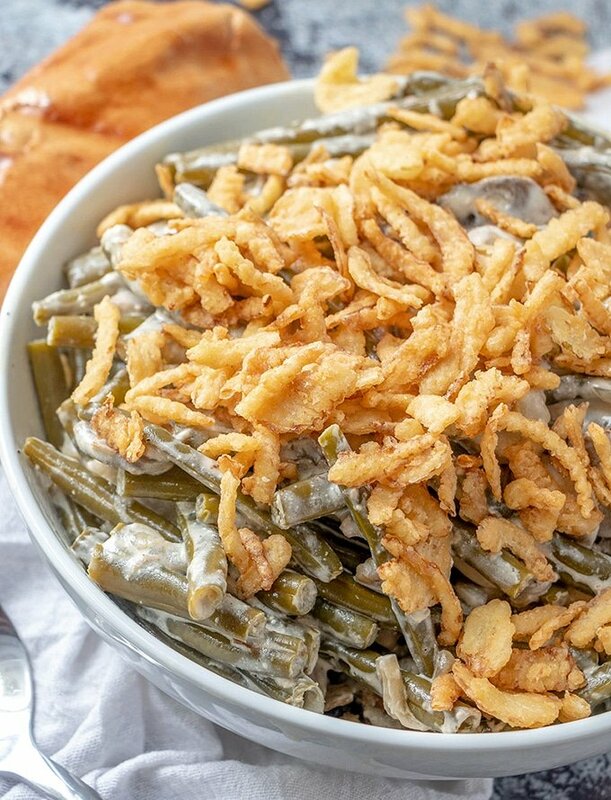 Slow cooker green bean casserole has been a regular on our Thanksgiving Day dinner for many years now. In fact, I first posted this recipe on November 23, 2013. The recipe is from Stephanie O’Dea’s 365 Slow Cooker Suppers cookbook which Rachel Ray featured on her show that November. 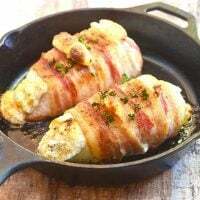 We tried it for our Thanksgiving feast that year and have been making it every year since! 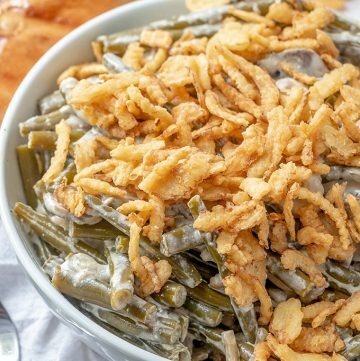 This crockpot green bean casserole is indeed a life stress saver especially during the frenzy of holiday prep. After the short work of sauteing the mushrooms and making the cream sauce, it finishes off in the slow cooker thus freeing up the stove and the cook for other things on the menu. 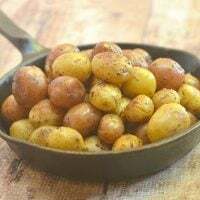 You get all the delicious flavors of the classic Thanksgiving side dish with minimal effort! Trim the ends and pull the strings off the fresh green beans and cut into halves or thirds depending on length. Wash the green beans, drain well and place in the crockpot insert. In a wide pan over medium heat, saute the onions and mushrooms in butter until softened. Season with salt and pepper to taste. Add the cream cheese and chicken stock. Whisk until cheese is melted and sauce is smooth. 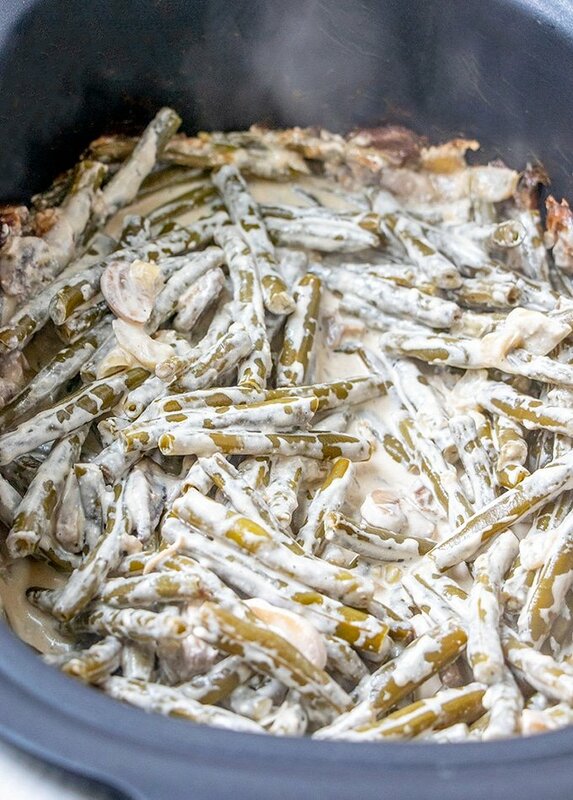 Pour cream cheese sauce in the slow cooker over the green beans. Stir to distribute. Cook on LOW for 5 hours or on HIGH for 2 hours. Transfer to serving platter and top with french-fried onions. The best part of this green bean casserole recipe is you can easily adjust amounts to serve a large crowd. 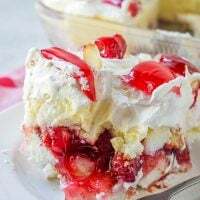 I highly suggest you make double (or triple) the batch. 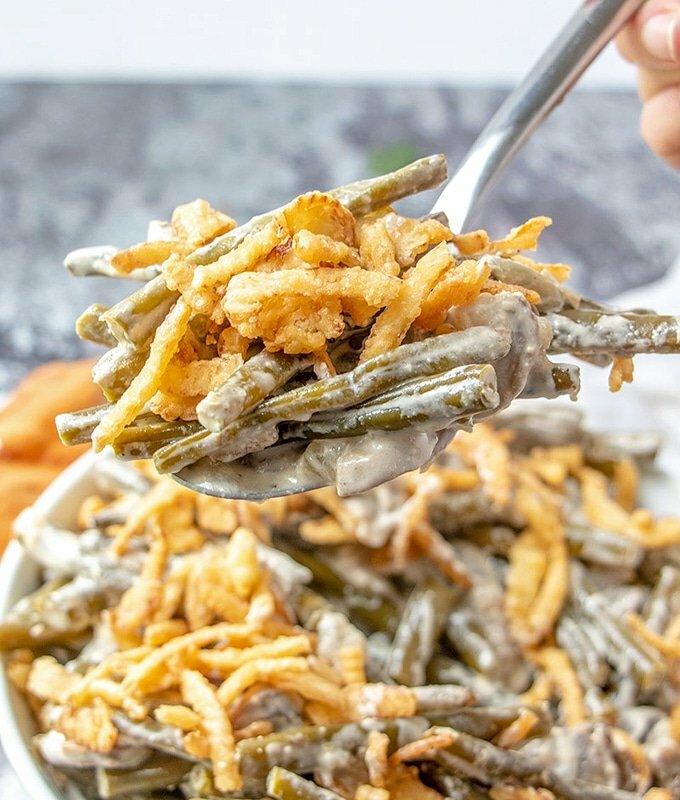 Loaded with tender green beans, mushrooms, creamy sauce, and crunchy french-fried onion topping, expect everyone to be crowding around the slow cooker wanting seconds! Why Use Fresh Green Beans? Although canned or frozen green beans make a quick swap, nothing beats the taste and quality of fresh ingredients. The steps, after all, are pretty simple and preparing the fresh green beans will just be a matter of minutes. If you must use canned or frozen, give them a quick rinse under cool water in a colander and drain very well. You might have to adjust the cook time as they will finish faster. This creamy vegetable casserole is the ultimate side dish to your Thanksgiving turkey and will pair well with other fixings such as garlic mashed potatoes, homemade mac and cheese, and spiced sweet potatoes. Slow Cooker Green Bean Casserole made easy in the crockpot. With tender green beans, mushrooms, creamy sauce, and french-fried onion topping, it's the ultimate Thanksgiving side dish. Remove ends of green beans and pull off strings, Cut into halves or thirds depending on lengths. Wash under cool water, drain well, and place in the crockpot insert. Add onions and mushrooms and cook until softened. Season with salt and pepper to taste. Add cream cheese and chicken stock. 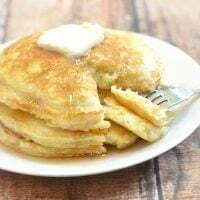 Continue to cook, stirring occasionally, until cream cheese is melted. Add mushroom sauce in the slow cooker over the green beans and gently stir to distribute. Cook on HIGH for 2 hours or on LOW for 5 hours. Transfer to serving platter and garnish with french-fried onions.